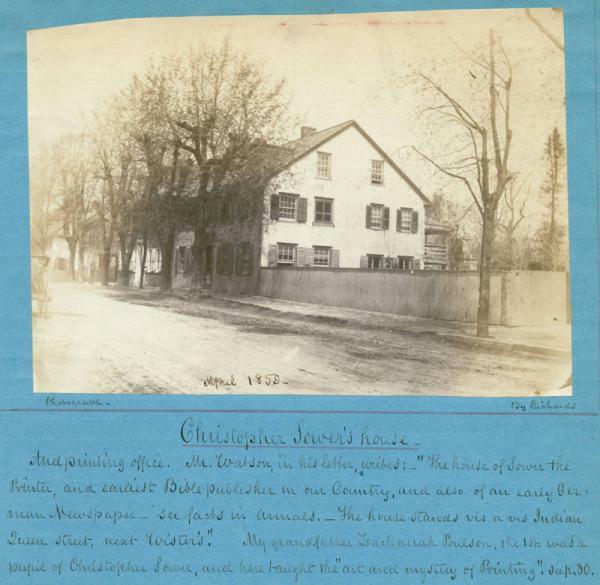 Christopher Sauer’s House, Germantown, PA, 1859. In 1738, Christopher Sauer established the first German-language printing press in North America in Germantown, outside of Philadelphia. The next year, Sauer printed the first German-language newspaper in North America. In 1743 he finished a German-language Bible, a 1,267-page masterpiece that took more than a year and a half to complete.